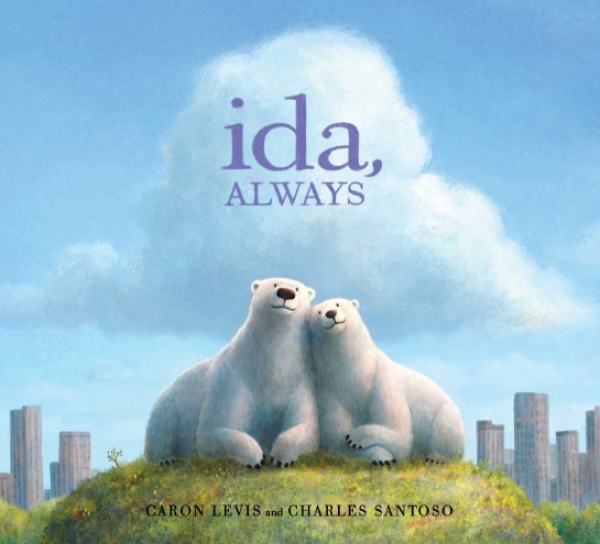 A beautiful, honest portrait of loss and deep friendship told through the story of two iconic polar bears. Gus lives in a big park in the middle of an even bigger city, and he spends his days with Ida. Ida is right there. Always. Then one sad day, Gus learns that Ida is very sick, and she isn’t going to get better. The friends help each other face the difficult news with whispers, sniffles, cuddles, and even laughs. Slowly Gus realizes that even after Ida is gone, she will still be with him through the sounds of their city, and memories that live in their favorite spots.